The Iowa State Cyclones are a football team representing Iowa State University in Ames, Iowa. The Cyclones compete in the Big 12 Conference of the NCAA Division I FBS. Iowa State began college football operations in 1894. The 1894 team finished with a 6-1 record, including a 16-8 victory over the University of Iowa, the school’s in-state rival. The Cyclones team colors are cardinal and gold. The Iowa State Cyclones play their home football games in Jack Trice Stadium, named after a football player who incurred a fatal injury while playing for the Cyclones in 1923. The Iowa State Cyclones are coached by Paul Rhoads, who was hired on December 20, 2008. The official site of Iowa State Cyclones Athletics is Cyclones.com. The Iowa State Cyclones head football coach is Paul Rhoads. Learn more about Coach Rhoads, here. The Iowa State University of Science and Technology, commonly known as Iowa State University, is a public land grant and space grant university located in Ames, Iowa. In 1856, the Iowa General Assembly enacted legislation to establish the State Agricultural College and Model Farm, which later became ISU. When the State of Iowa accepted the provisions of the Morrill Act of 1862, Iowa State University became the first institution in the nation designated as a land grant college. Visit Iowa State University online at iastate.edu. Iowa State Gameday Central has an outstanding collection of Iowa State football facts including traffic tips and directions, Jack Trice Stadium parking information, ISU Cyclones Gameday activities, and Iowa State University maps. Jack Trice Stadium, the Iowa State University home football stadium, opened in 1975 with a game against Air Force. Jack Trice Stadium has an official capacity of 55,000. 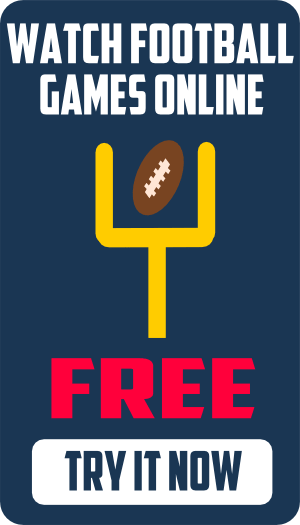 Get the best prices on tickets to Iowa State University football games. You can comparison shop at one place online all the major sporting event ticket outlets at Big 12 Football Tickets. Find the cheapest prices on Iowa State football tickets. Get access to all Big 12 football games, highlights, and replays on Big 12 Football Online. Watch Iowa State football games on ESPN and FOX Sports. 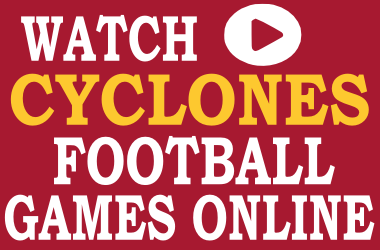 Find out where to watch Iowa State football online. Visit Big 12 Football Online to watch the Iowa State football game online. The Iowa State Cyclones football team opens the 2014 football season with a game against North Dakota State. View the 2014 Iowa State football schedule at the 2014 Big 12 Football Schedule Grid. Cy is the mascot of the Iowa State University football team. Learn more about Cy at Iowa State Cyclones mascot and traditions. ISU Fights is the Iowa State Cyclones official fight song. Rise Sons of Iowa State and For I, For S are other popular ISU Cyclones fight songs. Download free Iowa State ringtones at Iowa State Cyclones fight song ringtones. Download Iowa State Cyclones wallpaper for computers and cell phones and Iowa State screensavers at our free Iowa State Cyclones football wallpaper page. The most popular message board forums for Iowa State Cyclones football are the independent Cyclone Fanatic, Cyclone Sports Report, and ISU Confidential. Cyclone Sports Journal…Thoughts about Iowa State Athletics. Iowa State Gridiron Club…The official support group of Iowa State University. Wide Right & Natty Light…Home of the Nation’s Dreamiest Basketball Coach. CycloneReport.com…Iowa State sports coverage from Rivals.com. CycloneSportsReport.com…Iowa State Football updates from Scout.com. Iowa State Daily….Official student newspaper for Iowa State University. Cyclone Insider…Iowa State sports from the Des Moines Register. GoCyclones.com…First stop for Cyclones sports from the Ames Tribune.